Fourth of July weekend is officially here and we are excited to celebrate at our house. 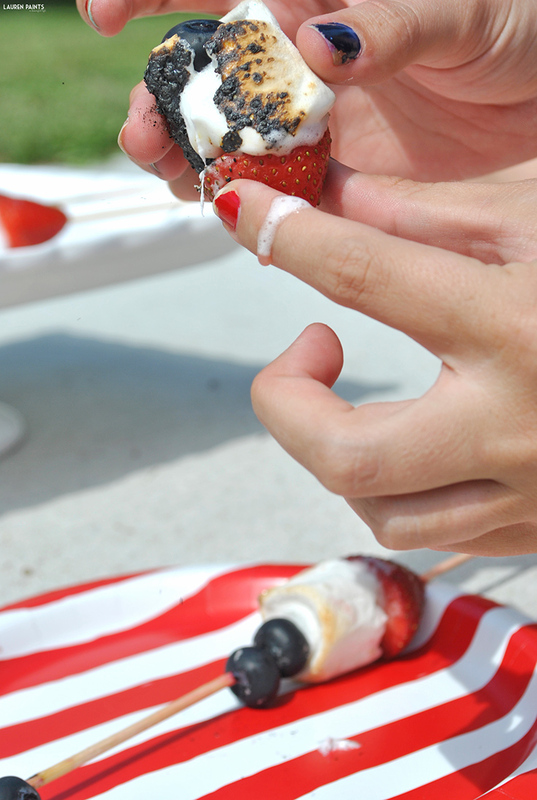 We broke out the BBQ and made some super fun 4th of July themed snacks today and I just have to share this super simple recipe with you so you can indulge in some of this deliciousness this weekend as well. 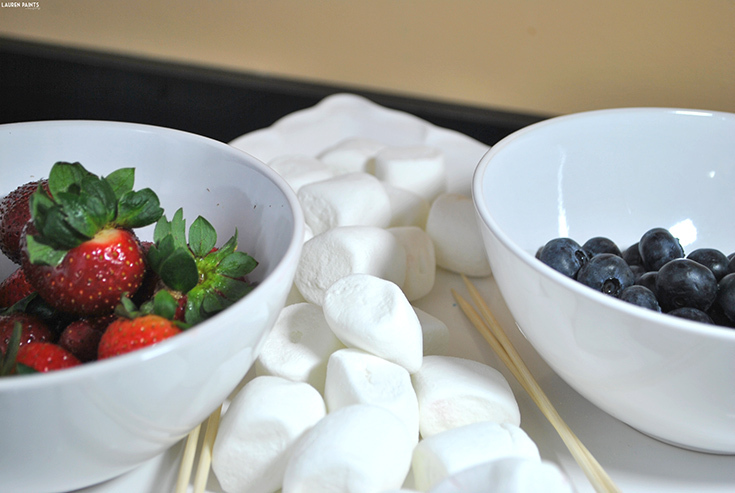 The flavors of roasted strawberry, marshmallow, and blueberries combined together taste like a decadent dessert and leave a deliciously fruity and sugary after taste that embodies everything summertime. Plus, since these are so easy to make, kids can help with the prep work! To begin rinse the strawberries and blueberries and then pat them dry. 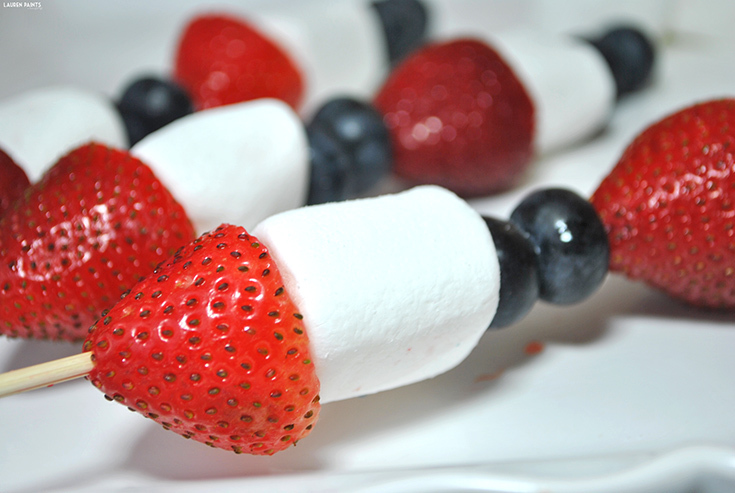 Next cut off the tops of the strawberries, making them easier to eat in skewer form. 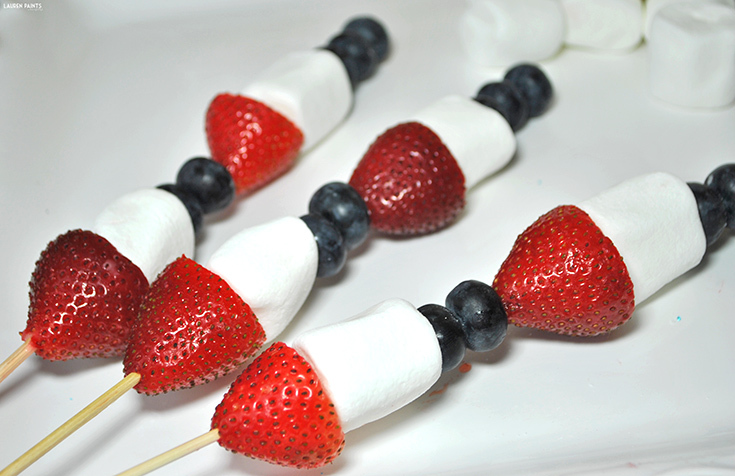 Now add a strawberry, a marshmallow, and 2-3 blueberries and repeat so that each skewer has two levels of deliciousness. 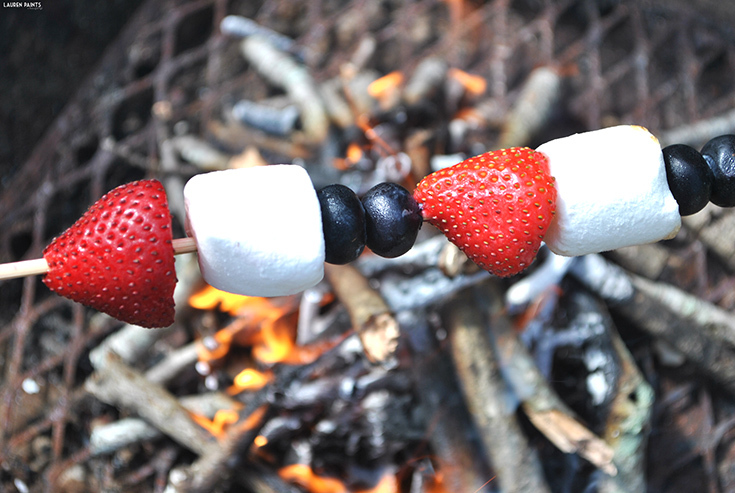 Warm up the grill or a make a small fire pit and place the skewers above the flame for about 10-15 seconds a piece, rotating it so that it all gets a nice bit of heat. 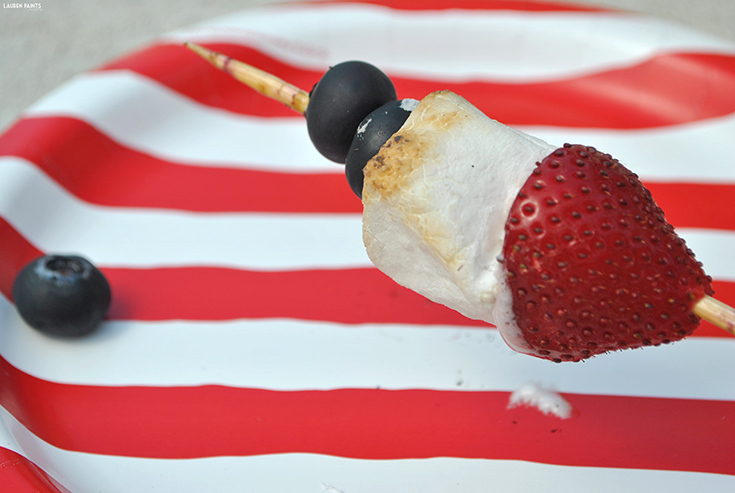 Remove from heat and allow to cool for a second or two, then slide from the strawberry up for a nice fruity, toasted marshmallow dessert in every bite! 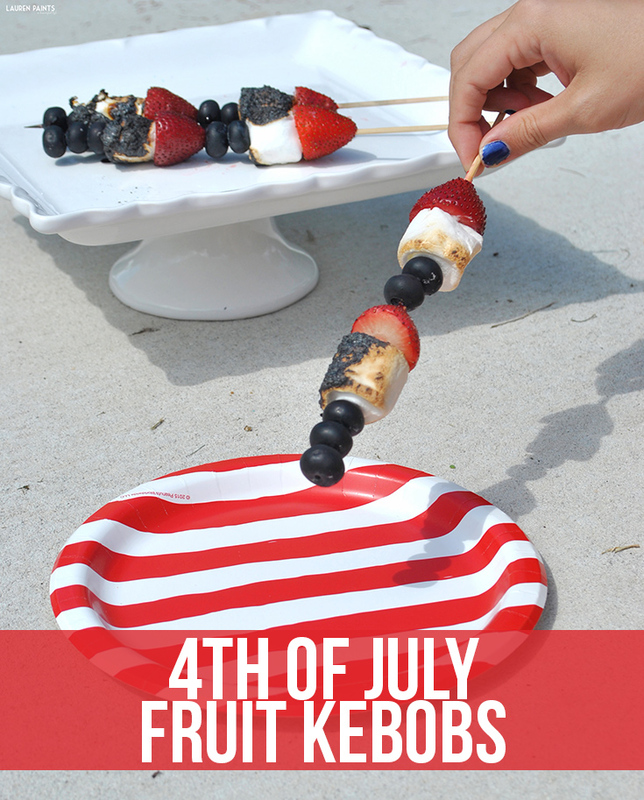 This treat is sure to make your family smile on the fourth and if you don't feel like firing up the grill, these kebobs are just as tasty "raw". I'd love to hear what your plans for the 4th include...? Will you be making any delicious recipes or setting off fireworks, I want to hear all about your adventures this weekend in the comments below!